Super speeds are possible with this USB 3.0 cable that features a 10-fold improvement in signaling rates (5 Gbps versus the older 480 Mbps with USB 2.0). 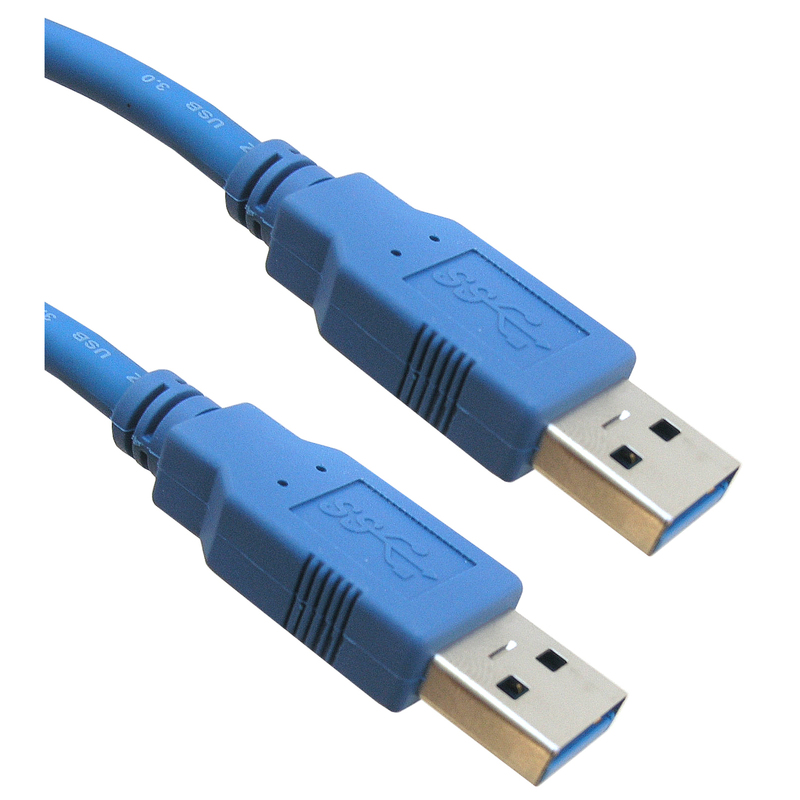 Connect a USB 3.0 male plug to USB 3.0 male plug with our blue, 10-foot cable. This quality cable has full backward compatibility with previous USB versions. A 30 AWG wire gauge as well as a foil and braid shield type will provide the cleanest signal possible. Gold flash contacts will provide years of corrosion-free bonds - the blue outer PVC jacket adds flexibility and protects the internal conductors from external stress. What I have been looking for @ a reasonable price.